Bushland is a growing community with great schools and some great views. 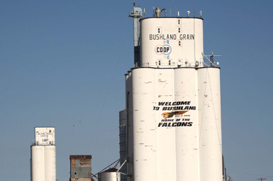 Bushland is about 14 miles west of Amarillo and spans north and south of I-40. Most homes in Bushland sit on at least 1 acre, have a well and septic system. Bushland real estate prices compare very good with other areas around Amarillo and Canyon that have some acreage. So in your home search keep Bushland in mind, lots of great homes, great views, great schools and only about 11 minutes from Amarillo.